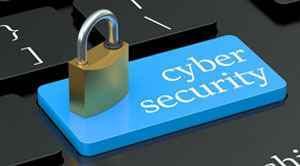 Cybersecurity is a critical issue nowadays owing to the increasing number of cybercriminals worldwide. That is one of the reasons why a strong IT strategy is essential to circumvent diabolical activities. However, the development of a skillful IT strategy is a challenge as it involves striking a balance between convenience, space, security, and speed. Managed IT service has been under the radar for quite some time now as a potential security concern. However, the extent of managed service’s impact on cybersecurity needs to be established. It is a known fact that shared information on the internet is the biggest harbinger of security risks. Information has to be shared to allow the third party IT provider access some part of the company’s IT. That is why many companies are hesitant about availing the managed IT services as they believe sharing of information to be a major cybersecurity concern. Outsourcing IT services is a major issue for some organizations as they would have little or no say in their companies’ IT policies. There can be significant inconsistencies in IT strategies that may become a security liability, later on. A vast expanse of managed IT services that are available nowadays, provide cyber security defense as a managed service where the services can include anything from firewall management to patch management, vulnerability analysis to identity management. Leveraging managed cybersecurity on its own or in combination with other managed security services can result in an all-inclusive IT strategy that can strengthen an organization’s cybersecurity defenses. Although there’s a possibility that managed IT services can put the organization’s cybersecurity at a risk, stringent security practices and protocols followed by any reputable managed IT services provider ensure that their association with the company, does not compromise the data in any way. An effective way to assess the vendor’s behavior is by performing an audit regarding the cybersecurity protocol followed by them. Nonetheless, it is the organization’s call whether or not to avail the services of the managed IT services provider.